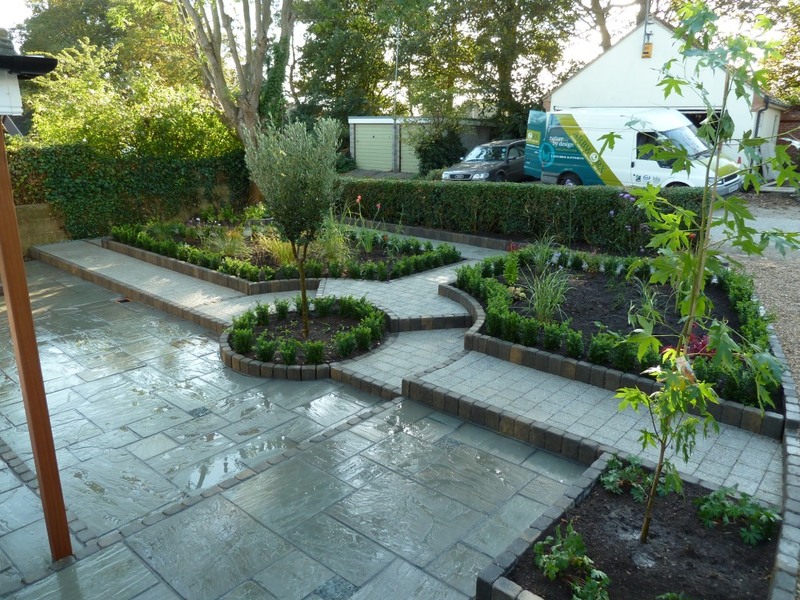 Here at Arbworx we offer a full range of general landscape gardening services including garden clearing, hedge trimming, driveway laying, turfing, paving and of course, garden maintenance. 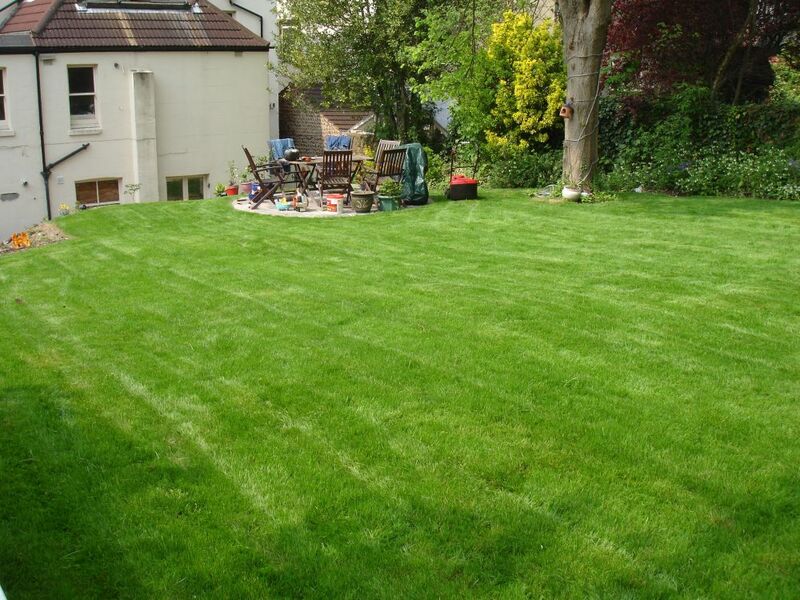 In short, all the services you would expect from a top landscape gardening contractor. We specialise in garden makeovers and can work our magic on any outdoor space from sprawling country estates to city centre roof terraces. Whatever the challenge we are confident that our team of qualified consultants and technicians can transform your garden and you’ll end up with a new and exciting room outside to enjoy throughout the year. We offer real time works monitoring via Facebook – as far as we know, we’re the only landscaping company to do so! We encourage our clients to monitor the work we do so any changes can be addressed straight away meaning no time or materials are wasted. Planting out is one of the most rewarding parts of our job which all our team enjoy. The results are eagerly anticipated later on in the year. Want to change the view from your window, do your bit for the environment, or take a step towards self-sufficiency by growing your own veg? We have hundreds of ideas to help you do so. 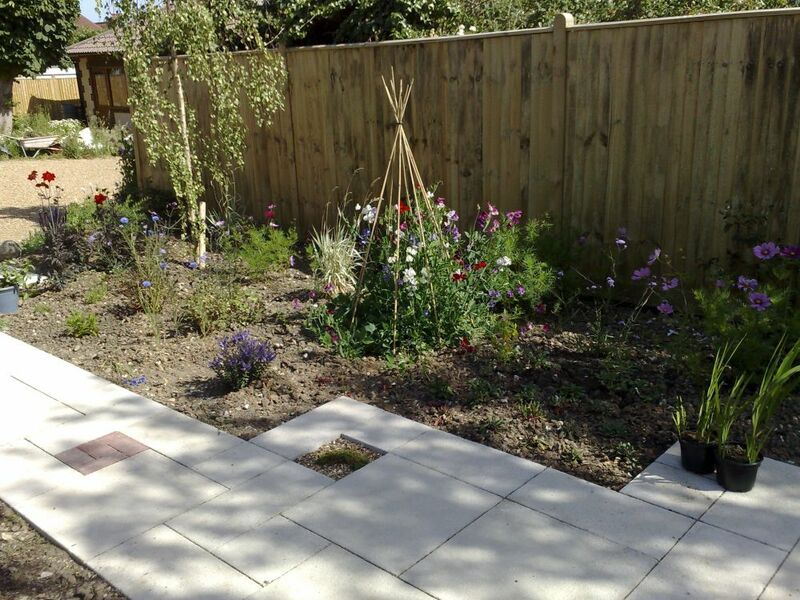 Gardening is a great way to introduce children to the wonders of the natural world and Arbworx can help you to design the perfect safe and child friendly garden for your green fingered little ones. 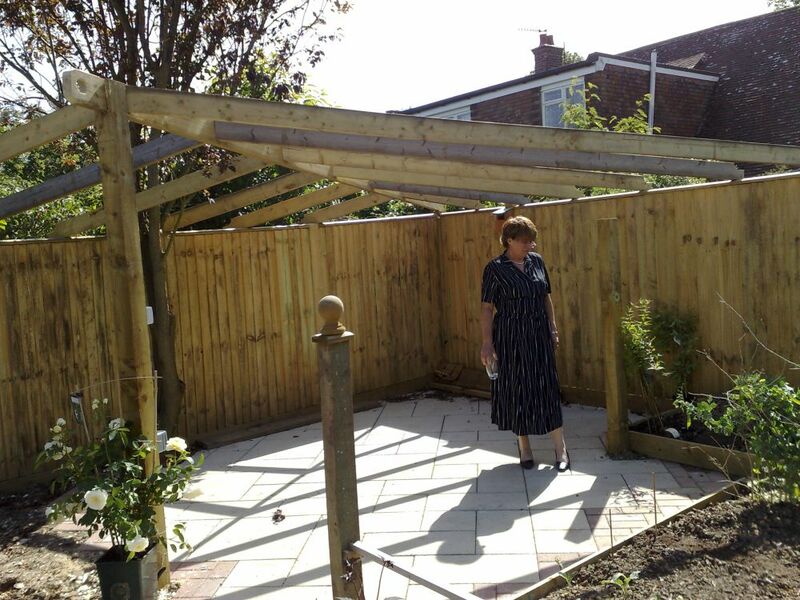 Think about space for a swing, a sandpit or a Wendy house, set an area aside for the kids to grow flowers and vegetables or treat your smalls to the ultimate ‘kids only’ space, an Arbworx custom built tree house! 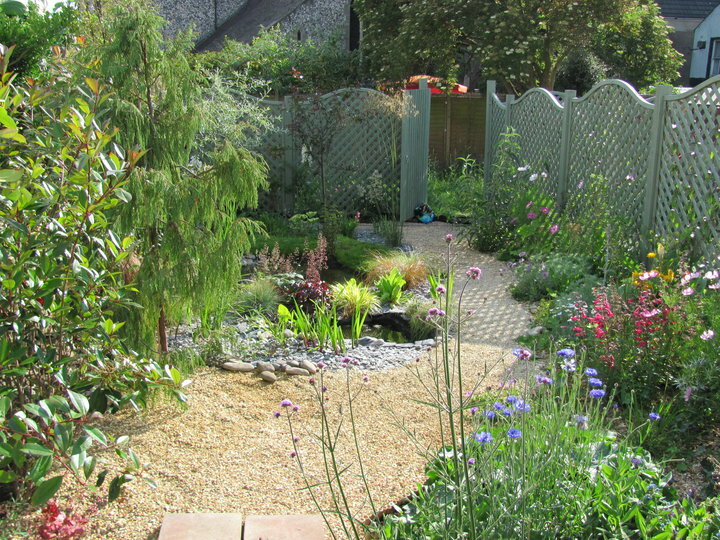 Why not go for a sensory garden designed to stimulate the senses with interestingly textured materials, a water feature, brightly coloured or heavily scented flowers, bamboo and long grass to provide sound and how about adding herbs for taste? Very useful for the kitchen as well! 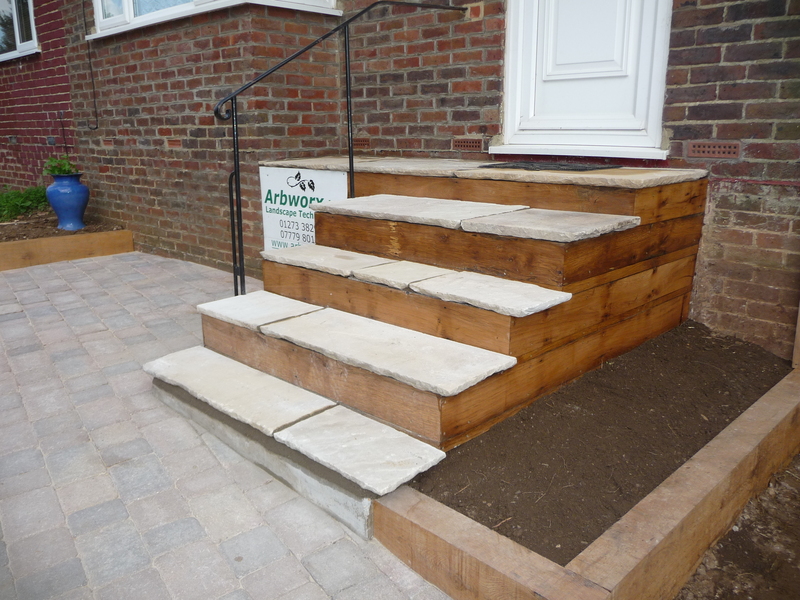 Steps get a new lease of life after being wrapped in Oak and Indian sandstone and lead on to a new parking space. Tons of soil were moved to extend the patio. A new oak sleeper wall supports the second tier of the garden. It’ll make bringing the shopping in so much easier and you will have the added security of the car being close enough to see and hear if anything goes wrong. We can offer a range of ideas and solutions to modern parking problems from low-budget ideas right through to 5-star options to suit your style of living.